Welcome to Part 2 of my series concerning estate planning with the Earth in mind. You are probably familiar with land development in your area that is happening at a breakneck pace. We all know of favorite fields plowed under for a new housing development or shopping center. One way to help the natural world is to leave your land in a conservation restriction as a part of your estate planning. When you use a will or trust, you are leaving your assets, including your property, to individuals or organizations. When you draft your estate plan, you can include a conservation restriction – called a conservation easement in other states – to protect your property from development. A conservation restriction is a legal document between a property owner and a conservation organization. That organization agrees to monitor the property and enforce the restriction, even if the property changes hands. The property owner can place a restriction that prohibits any development or can state exactly what kind of development is allowed. For example, a property owner could place a conservation restriction on a 50-acre farm and allow one more home to be built on the property but no other buildings. Conservation restrictions can be tailored to meet the property owner’s wishes, and it’s better if they explicitly list what the owner allows and what the owner prohibits to be done to the property. It is considered a deed restriction and goes with the deed to the land, meaning it applies to anyone who purchases the land. If you want to place a conservation restriction on your property in your will or trust, it is a good idea to check with some conservation organizations to make sure they will accept your property into their land trust program. If you find one or several that will do so, you can even include their names – or name the one you prefer – in your will or trust so the representative or trustee knows who to contact when the time comes to place the restriction. You can even attach a draft of the conservation restriction to your will or trust so that your wishes are clearly articulated. While it is best to think of these issues before death, a representative or trustee can place a conservation restriction on property after the death of the property owner. It needs to be done quickly, before the federal estate tax is filed, which is usually nine months after death. Contact me if you want to learn more about conservation restrictions and your estate plan. On April 22, we will celebrate Earth Day. You have probably read about different ways people are recognizing the day and bringing greater awareness to ways we can help our planet, and you may be taking part in some of those activities yourself. Did you know that you can also do things with your estate plan that help the earth? When you make an estate plan, you have probably been advised to think about your assets and your beneficiaries. One of your beneficiaries can be the earth, and this can be accomplished in several ways. In this 5-part series, I will explore these different ways. A popular way to help the natural world is to bequeath property or money to a nonprofit organization or a business that engages in work that you support. Recently, a woman used her trust to leave $1 million to three Washington National Parks. Elizabeth “Bette” Wallace established a trust so that money could be used to support causes when she died. Her trust, through her niece acting as its trustee, already made contributions to help the homeless and to Washington schools. The latest donation is to the Washington National Park Fund. The amount will be evenly split between Mount Rainier, Olympic, and North Cascades National Parks. Ms. Wallace spent 14 years growing up in Washington and through this generous donation via her trust, she can help the land there and to help people experience that land. While not everyone has the ability to make such a generous donation, you can make donations via your estate plan to support environmental causes after your death. Using a trust can be the best way to do this, although you can also do it through a will. A trust is a private document that is not filed in the court system, so you don’t have to worry about people finding out about your donation unless you want it publicized. A trust is also a faster way to donate because a will can take 9 months to several years to go through the court probate system. You can either make a specific bequeath through your trust or you can give your trustee discretion concerning what individual, organizations, and companies receive the money. Even a few hundred dollars can go a long way to help an organization such as an animal shelter. Come back tomorrow and find out another way to help the Earth with your estate plan. This week, I am offering a 10% Earth Day discount on all my legal services, so please feel free to contact me about your estate planning needs, whether you need changes made to your existing plan or you need an entire plan drafted. A recent article in The New Yorker entitled “How the Elderly Lose Their Rights” has caused many people to worry about their family and themselves as they age. The article details horrible abuse of elderly individuals and couples by unscrupulous people who become their guardians via the Nevada court system. The article tells the heartbreaking stories of several elderly individuals and couples in Nevada who had these guardians assigned to them without their consent or the consent of their families. After an investigation, individuals involved in the guardianship scams were indicted for various offenses, including theft. These charges, however, will never repair the harm done to the people mentioned in the article and their families. Some individuals died during the guardianship period, and many were left without money or personal belongings. The psychological toll may even outweigh the financial and material losses. As this article makes the rounds on social media, I see many people range reacting with horror and asking how they can make sure this kind of situation doesn’t happen to their loved ones or themselves. I admit that reading this article is a terrifying example of how the judicial system can fail, and even add to, the abuse of elderly individuals. While the legal system concerning guardianship in Massachusetts differs from that in Nevada, there are ways to address these situations now so that the issue of guardianship does not land in a court later. What I have to say here only applies to Massachusetts law, so if you live in another state, please contact an elder law attorney or association to see how your state handles these matters. It is my hope that even if this law doesn’t apply in your jurisdiction, you will learn enough information that you can be an informed individual and ask the right questions to help you successfully address these kinds of situations. One of the first things to know is that in Massachusetts, guardianship and conservatorship are two different legal concepts. In the Nevada case, the guardian was able to have control over both the person’s medical treatment and finances. In Massachusetts, guardianship concerns an individual with a medically diagnosed condition and that person’s ability to take care of daily self-care, health, and safety. A conservatorship involves an incapacitated person who is unable to handle business, financial, and property affairs. The same person may be appointed as a guardian and conservator but they must do so with two different petitions to the court because the roles are separate. In order to be appointed as a guardian or conservator or both, a public hearing in the court is held. The court must first determine if incapacity exists and then determine if the person asking to be the conservator or guardian should be appointed. Two important documents can protect your rights and interests when it comes to guardianship and conservatorship. A Health Care Proxy is a document that designates your Health Care Agent, which is the person you want to make your health care decisions for you if you are incapacitated. A properly executed Health Care Proxy should guard against someone other than your designated Agent being appointed as your guardian to make your health decisions for you. In addition, while Massachusetts does not legally recognize Living Wills, which are called Advance Directives in this state, you can have one drafted and executed to keep with your Health Care Proxy. An Advance Directive states what kind of medical care you do and do not want in the case of your incapacitation. Having an Advance Directive allows your health care agent to know your wishes concerning medical care, and it shows the court what your wishes are. The other document to make sure you have drafted and executed is a Durable Power of Attorney. This document names your personal representative who takes care of your business, financial, and property affairs. You have the option of having a POA that is effective immediately or having one that is effective only upon your incapacitation. Either way, having a POA assures you that you know who is handling your affairs rather than the court appointing someone. A Health Care Proxy, Advance Directive, and POA are all documents that can easily be drafted for you by an estate planning or elder law attorney. They can also be changed at any time, so you aren’t locked into decisions you make now that you might want to change in 5, 10, or 20 years. To make sure that your state’s laws concerning these documents are followed, please talk with an attorney rather than downloading forms or buying them in a business store. The last thing you want to have happen is for your documents to be invalid and a court to appoint a guardian or conservator that does not fit with your wishes. If you are a Massachusetts resident and would like to discuss these documents further or get them drafted, feel free to contact me. A consultation to answer basic questions is free of charge. How will your horse, your horse property, and even your horse business be taken care of if you are ever incapacitated or after your death? I know that these are not pleasant topics to read about. We all want to think that we will never get badly injured, but we know it happens. We’ve all read about the tragic riding accidents suffered by Christopher Reeves and Courtney King Dye. You may have also seen the various Facebook posts asking for help to care for a horse whose owner was injured in an accident and didn’t have any system in place to pay for horse care. These kinds of situations can be addressed before they ever happen. Estate planning documents that take into consideration your equine lifestyle can give you peace of mind that your horse, as well as property and business, are will be taken care of in the case of incapacitation or death. First, let’s look at estate planning documents and then I’ll talk about how they apply to horse interests. As you will see, there many considerations with your estate planning if you are involved with horses. There are also many options that allow you to create a plan that works for your individual needs, as well as the needs of your horse, property, and business. As a horse person and an estate planning attorney, I can talk with you about your various options so that you have an equine estate plan that meets your specific needs and provides you peace of mind about the care of your horse, property, and business. To provide for the distribution of your estate after your death, you should have a will or trust. If you own anything — like a car, house, or horse tack — then you have an estate. Under Massachusetts law, horses are considered property so they are handled just like any other kind of property. If you do not plan for how you want that estate to be distributed, then you will die intestate, and your items will be distributed according to the state intestacy laws. Everyone has heard of a will when it comes to estate planning. A will is a legal document that allows you to leave property to certain individuals and organizations. What you may not know is that a will does not automatically give your estate away the moment you die. It must go through probate, which means it is filed with the court and becomes a public document that can be seen by anyone who looks up the file. Probate is a process that takes anywhere from 9 months to several years, depending on the complexity of the estate and any challenges to the will. It usually costs several thousand dollars to have an estate probated. A will usually requires the payment of estate and inheritance taxes. If you haven’t made other plans for the probate period, your assets are not available to pay for horse needs, such as board, feed, and farrier care. A trust is another estate planning vehicle that allows you to leave your estate to certain individuals or organizations. A trust does not go through probate so it is effective as soon as you die. It is also not a public document. Oftentimes, it is used as a way to defer and avoid certain taxes. During your lifetime, you place your estate in the trust. As trustee of the trust, you still have full control over the items as if you owned them. One advantage of the trust is that funds to care for your horse are available automatically because it does not go through probate. There are several factors to consider when deciding if you want a will or trust as your main estate planning vehicle. I go over those considerations when I counsel my clients on what would work best for their individual situation. There are also several other documents you should have as a part of your estate plan. These documents are very important in the case of incapacitation. Durable Power of Attorney: This document allows you to appoint an agent to handle your financial and other affairs if you become incapacitated. Health Care Proxy: This document allows someone you have designated to make medical decisions for you should be you become unable to do so. Advance Directive: Sometimes called a living will, it is a guide for your agent listed on your health care proxy concerning what health measures you want taken should you become unable to make those decisions for yourself. HIPAA Release: This document allows your medical information to be released to individuals or organizations you list in the release. Everyone with a horse should have a horse trust in addition to the other estate planning documents. You can have a horse trust even if no other property is in a trust. 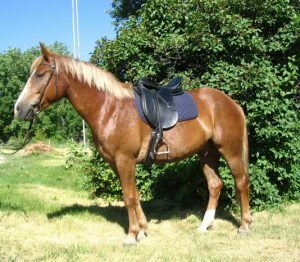 Massachusetts law provided for horse trusts beginning in 2011. 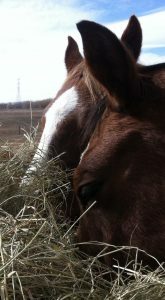 The law allows you to create a trust to take care of your horse or any other animal in the event you are incapacitated. The trust can terminate when you are able to take care of the animal again or at the animal’s death. 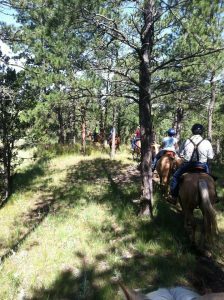 A horse trust gives you the ability to include specific instructions concerning the care of your horse. You can specify basic care such as where your horse is stabled, how it should be fed, and additional care, such as farrier and vet visits. You can name the person who will take care of your horse, which means you can make sure the person you want is taking care of your horse. 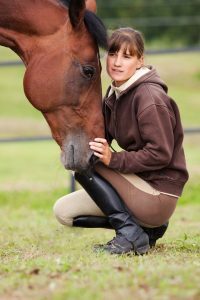 You can even stipulate specific things such as how you want the horse to be blanketed and special treats for your horse. One of the biggest advantages to a horse trust is that it takes effect at the moment of incapacitation or death. This means you don’t have to worry that your horse will be neglected should anything happen to you. Unlike having a house, a horse property provides you with additional considerations when it comes to your estate plan. As with a house, you may stipulate whether your horse property is sold after your death or whether you leave it to someone. You may also want to ensure that the property remains available for a horse lover to purchase at some time in the future and not turned into a shopping mall or housing development. To do so, you can have a conservation easement put on the property. 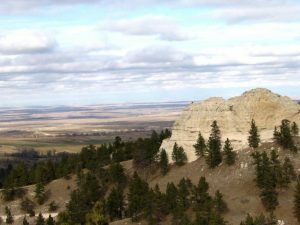 A conservation easement allows you to determine limitations on future development, and it may also lead to some positive tax consequences. One negative to these kinds of easements is that it may lower the property value if the property is sold at some point. If you are a horse professional, you want to decide what will happen to your business when you die. One option is to simply let the business end. But if you want the business to continue, you should consider how you want it to operate without you. This is called succession planning. Some of the considerations include who will own and manage the business as well as the development and training of successive owners. There are several different ways to create a succession plan, some of which involve trusts in order to reduce taxes and avoid probate. If you would like to discuss any of the options you have just read about, contact me today.